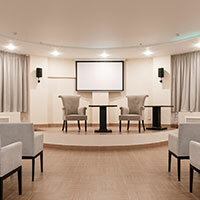 Audio visual solutions have increased in demand at an exponential rate, and they are now more applicable and achievable than ever due to more recent advancements in technology. 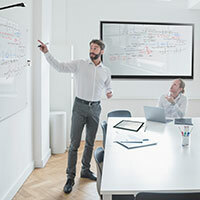 Thanks to AV solutions, local and remote team members can meet with ease via video and audio conferencing, while simultaneously using collaboration tools to share ideas and content. Audio visual Systems can also incorporate digital signage to relay impactful messages and marketing to your clients in an easily configured and changeable format. Sound masking speakers and noise eliminators have the ability to keep conversations confidential in open-area workspaces. 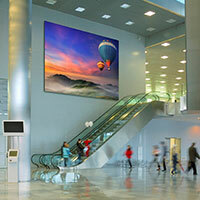 And video walls create a focal point in nearly any environment which can display beautiful and customized images for all to see. 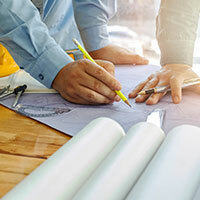 Our professionally-qualified Project Management team provides design and installation of completely integrated A/V systems tailored to fit your business’s communication needs. 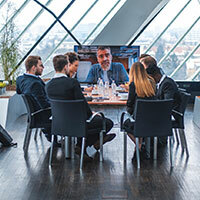 Integrate video and voice to bridge the gap between in-person and remote meetings, taking full advantage of high-quality video resolution and audio quality, as well as a steady and efficient connection. Enjoy and foster higher productivity as your team makes full use of our tools to work together and complete projects faster through real-time handling of documents and content from anywhere, anytime. Bright and beautiful signs that help your business stand out on a busy street or in a shopping mall through the display of custom messages in any audiovisual format you wish, integrating with third-party services. Experience crystal-clear audio quality during meetings, conferences, and events with the use of our extensive array of high-quality enterprise audio solutions fitting anywhere and made for any budget. 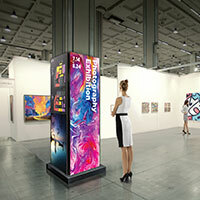 Display and promote products and services on a wall of visually stunning and fully customizable screens, showing high-resolution content of your choosing and making a long-lasting impression in the audience. We assess all your structured communications to provide the design and all the resources you need to implement a new customized solution that will solve your current requirements at a scalable budget for future growth.